As a side project in my Core Studio 3D class, I was tasked with creating a pair of objects that somehow shared a relationship with one another, or could interact in some way, hence the name of the project “Dynamic Duo”. 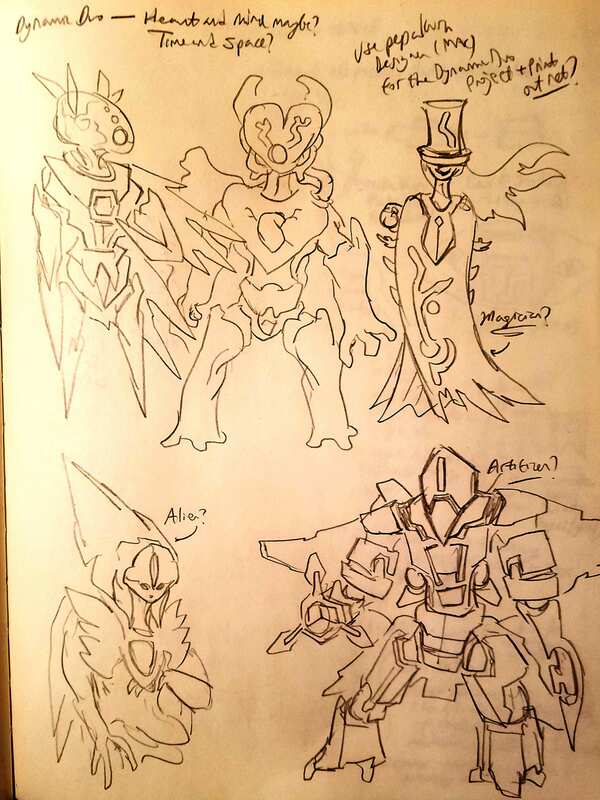 In my first initial sketches, I conceptualized two entities symbolizing and representing the heart and the brain that I would create figurines for, as shown below. After completing these sketches, I found myself stuck as to what materials I’d use to create the figurines, due to wanting to communicate the precise logic of the “brain-being” through a sharp aesthetic, like in origami, and the emotionality of the heart and its malleability in the “heart-being” through a clay-like material. 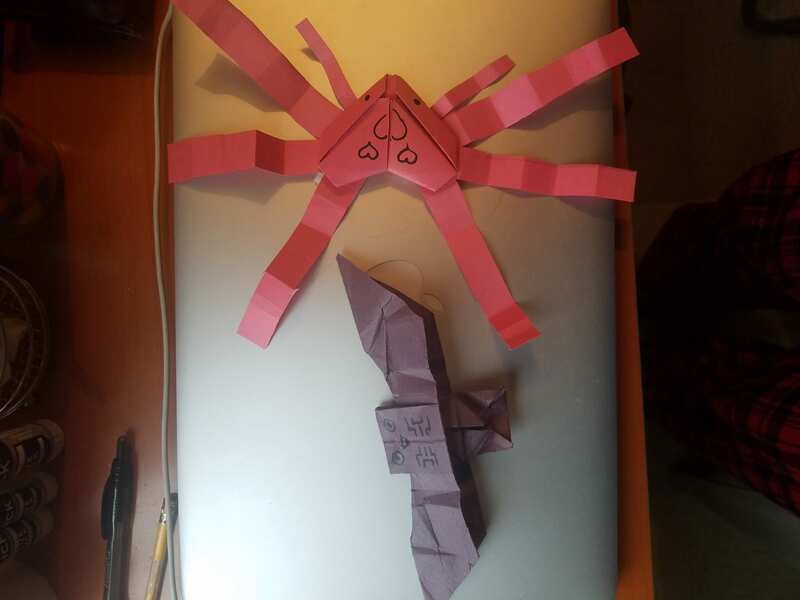 I eventually decided to scrap the clay idea and figurine idea due to time constraints and decided to re-conceptualize the brain and the heart as animals or insects made out of origami. I looked up how to make an origami owl as a representation of wisdom and intelligence (in reference to Athena, the goddess of wisdom, whose sacred animal was the owl), and also how to make an origami heart in order to form the carapace or back of a “Love Bug” or “Love Spider”, in reference to a general term used to describe the love of one’s life (though not referring to any goddess or higher concept). 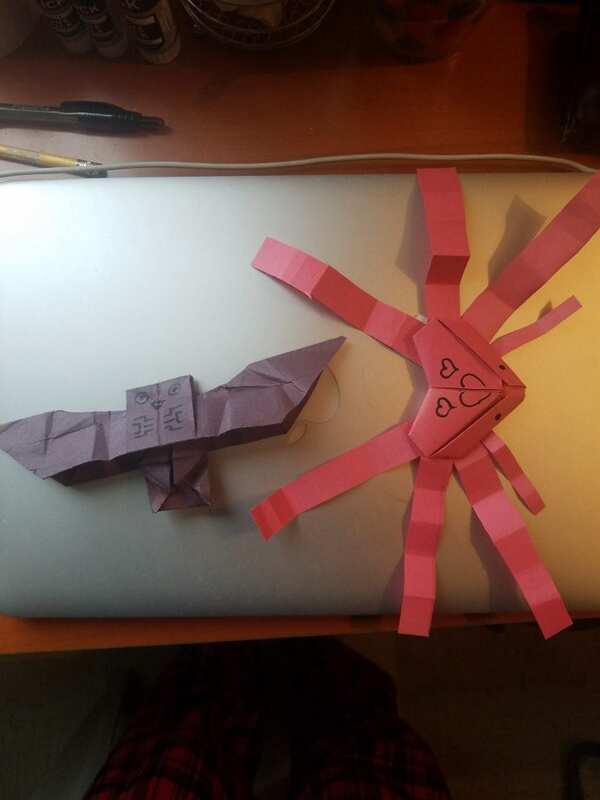 Using construction paper, I created the Owl out of black paper, and the Love Bug out of red-pink paper, included its legs and all. 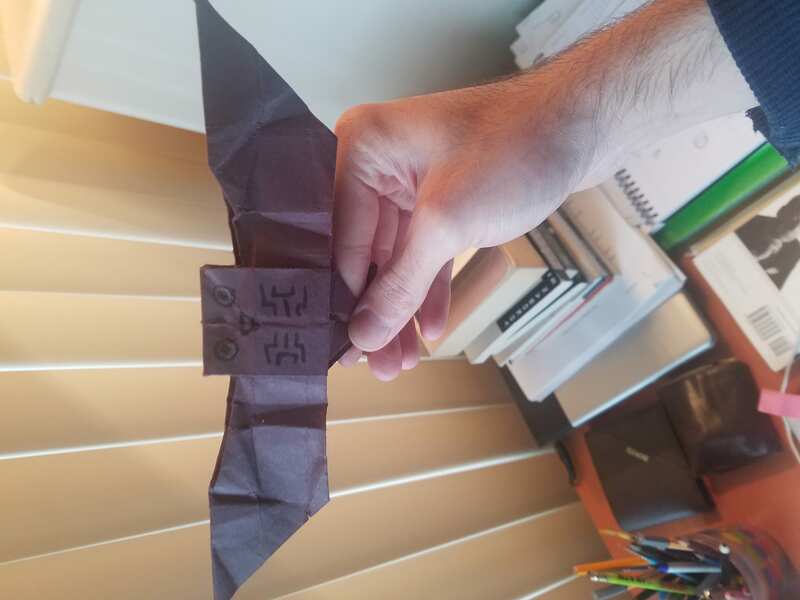 After actually creating the models, I took some markers and drew little eyes on the Owl and the Bug, as well as a few additional markings to make it obvious their dichotomous relationship, or rivalry. 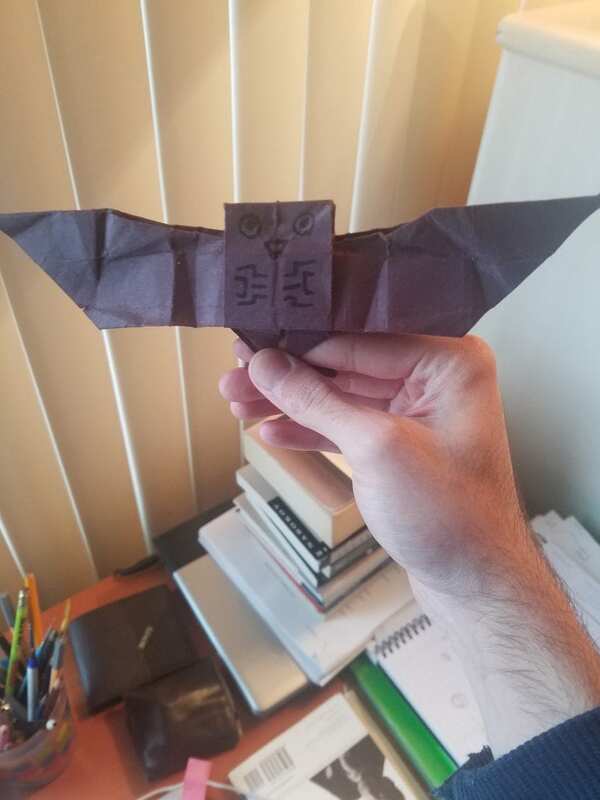 Mindowl is meant to be perched atop one’s finger like an actual owl would a tree branch, and Lovebug is meant to stand up a few inches off the ground, given both origami creatures a sense of three dimensionality.